Kesh King Ayurvedic Capsule is an Ayurvedic Patented Hair medicinal preparation without side effects. Kesh King Ayurvedic Capsule is an Ayurvedic Patented Hair medicinal preparation without side effects. 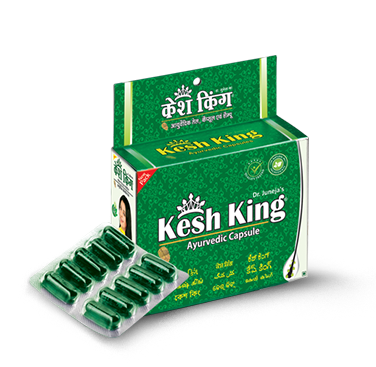 Kesh King Ayurvedic Capsule is a complete Ayurvedic formula, which is prepared using 6 selected herbs found in the nature. According to Ayurvedic texts, these herbs work as Sanjeevani for hair strands. Kesh King Ayurvedic Capsule not only helps in protecting and nourishing the hair but also dandruff, hair fall, split hair and checks loss of hair. It helps in regrowth of hair. Hair consists of two parts - the hair follicle and the hair shaft. Kesh King Ayurvedic Capsule helps in increasing the blood circulation to the follicle which is the center of biological activity like hair growth and pigmentation. 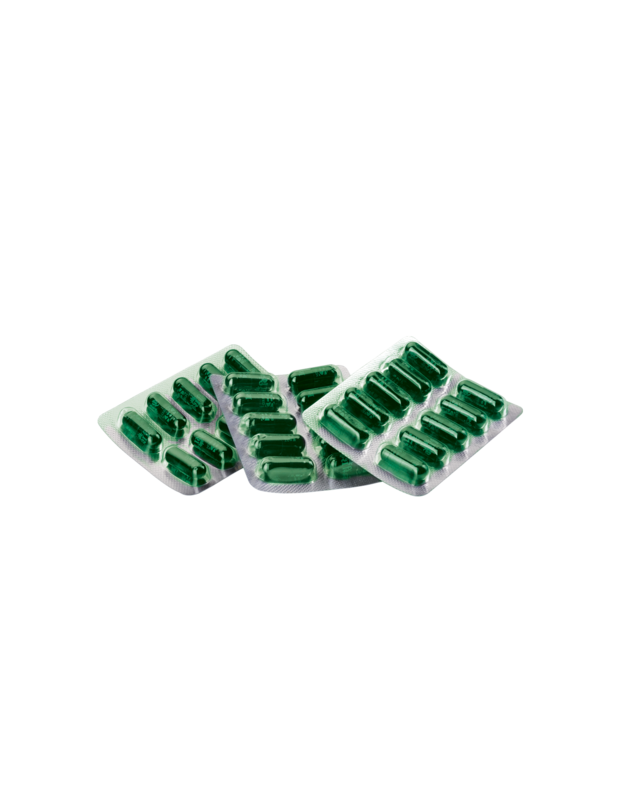 It is documented that Kesh King Ayurvedic Capsule works like a tonic and gives nutrition to Matrix Cells. These activated Matrix Cells remove the fiber of weak hair and help in activating new hair fiber, resulting in stronger, longer and dense hair. Dosage for children above 11 years is 1 capsule twice a day. And for Adults, 2 capsules twice a day (medicine is advised to be taken with hot milk, fruit juice or water) 2 capsules in the morning after breakfast and 2 capsules after dinner at night.